Head Start program presents information on practices embraced to ensure children, including the ones with disabilities and special needs, get opportunities and benefit from early childhood education. It ensures they get family and community support and as well focus on interactive and responsive practices in enhancing children emotional security, grasp of problem-solving and critical thinking skills. It also avails the focus on the use of individualistic interventions to meet children learning and developmental needs hence optimizing opportunities for their respective cognitive development. The adopted model as well focuses on family engagement and social services and identifies children needs. It has nationwide recognized activities such as ‘National Reading Month’ which enhances awareness. Other recognized activities include involvement in physical activities, partnerships, and sponsorships which ensure continued support for early childhood learning, educational and developmental needs. A study of teacher formative influence upon and student experience of Social-Emotional Learning climate in secondary school music settings. So many lifetimes locked inside: reflecting on the use of music and songs to enhance learning through emotional and social connection in Trainee Clinical Psychologists. Exploring the rationale for group music activities for parents and young children: Parents' and Practitioners' Perspectives. Can music enhance school-readiness socioemotional skills? While the research is varied and data somewhat conflicting due to the varied age groups and settings, it is clear from these experiments and research articles, that adding music to a modified morning meeting can only benefit and help the outcome of establishing healthy and positive Social and Emotional Learning. 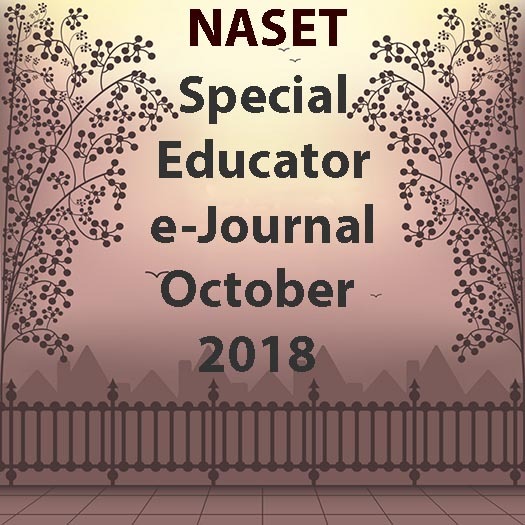 Are special healthcare needs being implemented effectively in Special Education? When children with severe disabilities and special health care needs are in school, there are many considerations and precautions to be made. The life, health, wellbeing, safety of a child is in the hands of educators, school nurses, and other employees of the school they attend. It is important that all aspects of their health are addressed, documented and shared with their primary care doctors, parents and specialists. Lead Like a Pirate: Make School Amazing for Your Students and Staff, by Shelley Burgess and Beth Houf is an insightful and motivating read for educational leaders and professionals in the educational system. The review looks at the book and states main themes, key quotes and strong and weak points from the book. The review compares the book to Leading in a Culture of Change, by Michael Fullan, and the similarities both books have regarding empowering educational leaders. Book Review: If You Don’t Feed The Teachers They Eat The Students! If You Don’t Feed The Teachers They Eat The Students! is a success guide for administrators and teachers written in a very practical format. This book is written as a guide to choosing the delicious food at restaurants and combing true ingredients for incredibly successful recipes. The author was born in Lexon Dale, Massachusetts. Degrees were obtained from St. Leo College (Bachelor’s) in Florida and Florida State University (Master’s and Doctorate). Dr. Connors is the founder and president of N.A.C. (Networking and Client) Connections Inc. This corporation promotes positive attitudes and actions for a successful life. Dr. Connor’s enthusiasm and positivity invite the reader to an experience of pleasurable cuisine and a fine dining experience. How can we increase student achievement? This question is the driving force behind everything we do as educators. Phillip Schlechty’s Working on the Work proposes that we should focus not on improving teachers or students, but rather on creating tasks for students that inspire curiosity and motivate them to genuine engagement with the content. This book review explores Schlechty’s ideas and considers its connections with Michael Fullan’s Leading in a Culture of Change. Implications for classroom practice as well as systemwide reform are discussed. Schlechty, Phillip C. Working on the Work: An Action Plan for Teachers, Principals, and Superintendents. San Francisco: Jossey-Bass, 2002. 128pp. $30.00. ISBN 978-0787961657.